Pathé Exchange was an independent American film production and distribution company from 1921 through 1927. As early as 1900, the French company Pathé, at the time among the largest and most successful film studios in the world, distributed its films in the United States. In 1904, it launched an American subsidiary, Pathé Company, based in Buffalo, New York. In 1909, Pathé was asked to join the Motion Picture Patents Company (MPPC). As a result, Pathé utilized MPPC's General Film Company distribution company to distribute its films. 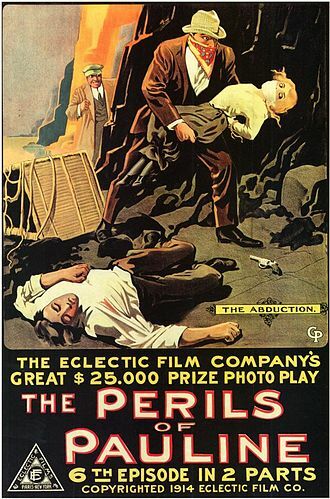 Beginning in 1914, the Pathé Frères' film production studios in Fort Lee, New Jersey produced the successful serialized episodes, The Perils of Pauline. Pathé stopped all production in the US by 1914 and in 1915 re-incorporated Pathé Company to Pathé Exchange. Pathé Exchange was spun off from its French parent company in 1921, with a controlling stake held by Merrill Lynch. Charles Pathé stayed on as a director of the American firm. By 1923, after coming under the control of Merrill Lynch, Pathé Exchange was once again re-incorporated to American Pathé. For many years Pathé was closely associated with the distribution company Associated Exhibitors which handled independent productions. In late 1926 the struggling Associated Exhibitors was subsumed into Pathé, as part of a trend of growing mergers in the American film industry. In March 1927, American Pathé was acquired by Joseph P. Kennedy and in 1928 merged with the Keith-Albee-Orpheum theaters, along with Cecil B. DeMille's independent Producers Distributing Corporation to create what would eventually come to be known as RKO Radio Pictures. 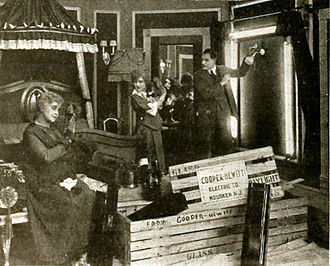 In that interim period, production of short subjects credited to American Pathé increased to about 150 in five years, under the nameplates "Manhattan Comedies", "Campus Comedies", "Melody Comedies", "Checker Comedies", "Folly Comedies", "Rainbow Comedies", "Rodeo Comedies" and "Capitol Comedies", featuring players such as Franklin Pangborn, Thelma White, Buck and Bubbles, and Alan Hale. 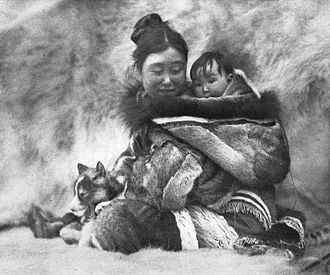 Among American Pathé's independent productions are the very influential documentary feature Nanook of the North in 1922, and a large number of film serials. By 1932, the company switched to producing newsreels & documentaries only. In 1941, the company acquired Producers Releasing Corporation. However, they were sold off in a merger in 1947 with Eagle-Lion Films. Also in 1947, the newsreel operations were sold by RKO to Warner Bros.
Fort Lee is a borough at the eastern border of Bergen County, New Jersey, United States, in the New York City Metropolitan Area, situated atop the Hudson Palisades. The borough is the terminus of the George Washington Bridge and is located across the Hudson River from the Manhattan borough of New York City. Named for the site of an early American Revolutionary War military encampment, according to the United States Census Bureau, the borough had a total area of 2.888 square miles, including 2.541 square miles of land and 0.347 square miles of water. The borough is situated atop the escarpment of the Hudson Palisades on the peninsula between the Hackensack and Hudson rivers, the borough is bisected by the confluence of roads at GWB Plaza leading to the George Washington Bridge. Unincorporated communities and place names located partially or completely within the borough include Coytesville, the borough borders Cliffside Park, Englewood, Englewood Cliffs, Palisades Park, Ridgefield. and the Washington Heights neighborhood of Upper Manhattan. 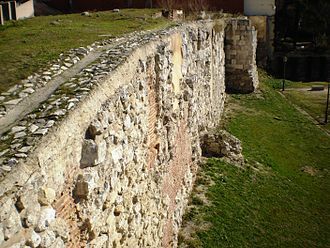 It was during Washingtons retreat in November 1776 that Thomas Paine composed his pamphlet, The American Crisis and these events are recalled at Monument Park and Fort Lee Historic Park. Fort Lee was formed by an act of the New Jersey Legislature on March 29,1904, with the creation of Fort Lee, Ridgefield Township became defunct and was dissolved as of March 29,1904. The Fort Lee Police Department was formed under borough ordinance on August 9,1904, the history of cinema in the United States can trace its roots to the East Coast where, at one time, Fort Lee was the motion picture capital of America. The industry got its start at the end of the 19th century with the construction of Thomas Edisons Black Maria, in 1909, a forerunner of Universal Studios, the Champion Film Company, built the first studio. They were quickly followed by others who either built new studios or who leased facilities in Fort Lee, such notables as Mary Pickford got their start at Biograph Studios. 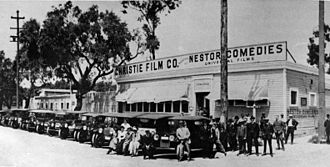 With the offshoot businesses that sprang up to service, the film studios, just as the development of Fort Lee production facilities were gaining strength, Nestor Studios of Bayonne, New Jersey, built the first studio in Hollywood in 1911. Californias more hospitable and cost-effective climate led to the shift of virtually all filmmaking to the West Coast by the 1930s. At the time, Thomas Edison owned almost all the relevant to motion picture production. Television and film in New Jersey remains an important industry, since 2000, the Fort Lee Film Commission has been charged with celebrating the history of film in Fort Lee, as well as attracting film and television production companies to the borough. In 1957, market researcher James Vicary claimed that quickly flashing messages on a screen, in Fort Lee, had influenced people to purchase more food. Vicary coined the term subliminal advertising and formed the Subliminal Projection Company based on a six-week test, Vicary claimed that during the presentation of the movie Picnic he used a tachistoscope to project the words Drink Coca-Cola and Hungry. Eat popcorn for 1/3000 of a second at five-second intervals, Vicary asserted that during the test, sales of popcorn and Coke in that New Jersey theater increased 57. 8% and 18. 1% respectively. Alan Hale Sr. Hale was born Rufus Edward Mackahan in Washington, D. C. He studied to be a singer and had success as an inventor. Among his innovations were a sliding theater chair, the fire extinguisher. 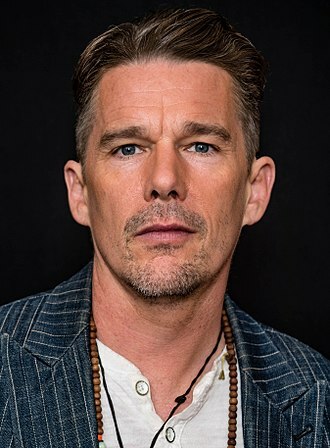 His first film role was in the 1911 silent movie The Cowboy, Hale played Hugh ONeill, Earl of Tyrone, in The Private Lives of Elizabeth and Essex, featuring in a pivotal confrontation with the Earl of Essex, portrayed by Flynn. Hale directed eight movies during the 1920s and 1930s and acted in 235 theatrical films, hales wife of over thirty years was Gretchen Hartman, a child actress and silent film player and mother of their three children. He was the father of actor Alan Hale Jr. best known as the Skipper on televisions Gilligans Island and son closely resembled one another, leading to occasional confusion after Hale Sr. s death when Hale Jr. dropped the Jr. from his name. In what may have been, in the instance, stunt casting, Hale Sr. Alan Hale Sr. played the character in 1939s Man in the Iron Mask, Alan Hale Sr.
Fort Lee, New Jersey in the foreground, connected by the George Washington Bridge to Upper Manhattan, New York City across the Hudson River, in the background. The George Washington Bridge, connecting Fort Lee (above) in Bergen County across the Hudson River to New York City, is the world's busiest motor vehicle bridge. One of two 47-story residential skyscrapers, Bergen County's tallest, is seen under construction near the gateway to the bridge in December 2013. Established residential high-rises are a prominent feature of the borough of Fort Lee, with several over 300 feet tall. Fort Lee Koreatown (포트 리 코리아타운) is centered at the intersection of Main Street and Route 67 (Lemoine Avenue). Portrait (as Sportin' Life in Porgy and Bess) by Carl Van Vechten, 1935 Dec. 27.